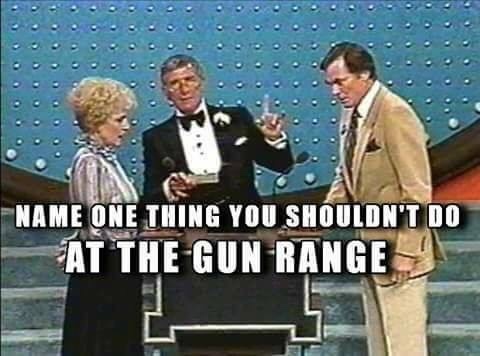 Name something you shouldn't do at the gun range or during a match. Nothing from the rule books, just the oddities you've learned through experience. The stranger the better. I've just come across this, and definitely, this cracked me up. Show up at the concealed carry match with a Taurus Judge in a shoulder holster snd you only brought .410 shells. Don't just finish strong....finish epic! 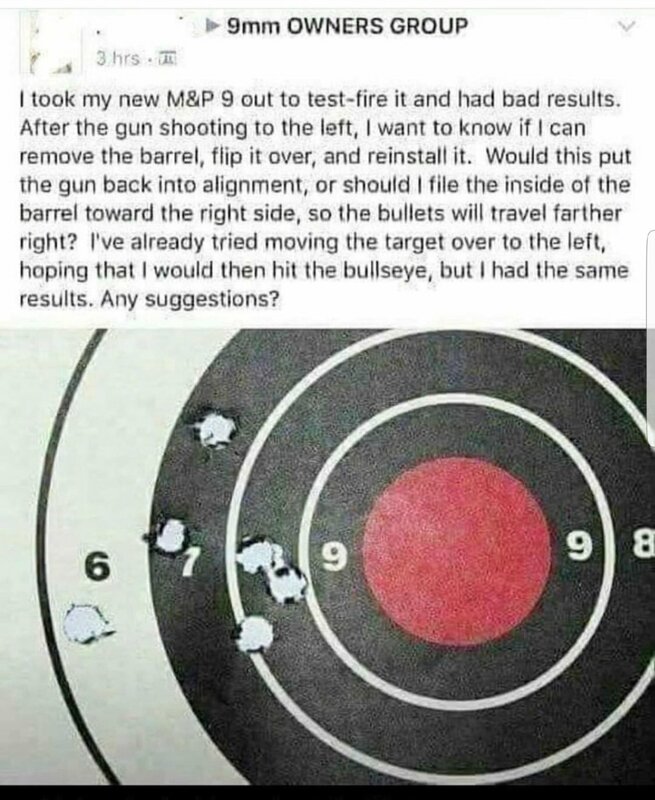 Well, you will get 2 Alphas on each paper with only one shot. Think about it......is it that bad of an idea? Not a bad idea. Just an automatic DQ for the shoulder holster. It would be fun to watch. 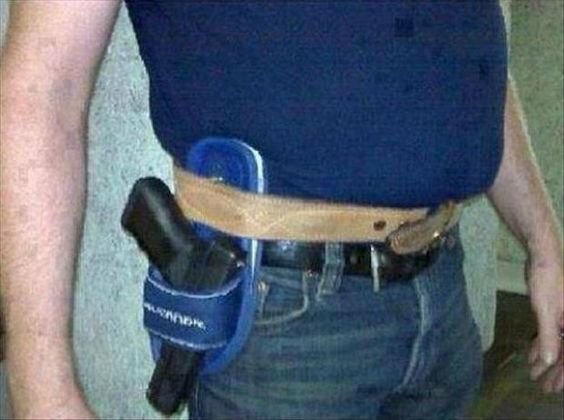 Be creative: tie a shoulder holster to your leg or use a sandal as a holster. .410 can be converted to a cut shell slug. 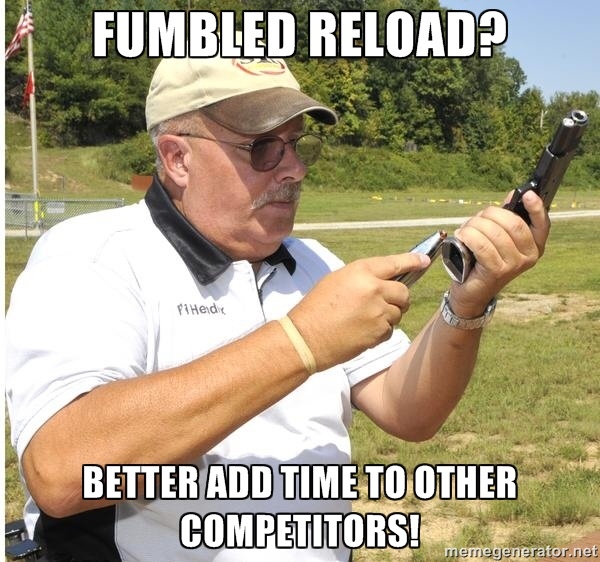 This is almost as good as getting told to use KY gel because my Glock mags were tough to get out of the mag pouches. True story. I don’t! I asked about mag slick spray stuff & that’s what I got told to use. I think someone was just messing with me. I guess I'm the only one who likes to party.